Nestled in Northern Burgundy’s Valley of the River Serein (the French word for “serene”) is the town of Chablis, a favorite excursion on French canal cruises. It is part of France’s Yonne Department and is known for its monastic history and viticulture. Legend has it that the monks of the Abbey of Pontigny, a Cistercian monastery on one of the pilgrim routes to Santiago de Compostela, were the first inhabitants to make a conscientious effort to grow grapes for wine making. The abbey is the largest standing abbey of its kind in Europe and celebrated its 900th birthday in 2014. The Chardonnay grapes planted on the abbey’s pastoral grounds are well suited to the micro-climate and soil of the Chablis wine region. They thrived and soon the monk’s highly acidic, flinty wines were quite popular with the local populations. Consequently, centuries later, Chablis wines produced in the area now hold four appellation d’origine controlee (AOC) designations. Interestingly enough, each appellation has its own levels of classification as well. They are traditionally based on two key factors. The first factor has to do with the soil composition and the second focuses on the slope where the grapevines are located. Passions run high as to which one is best and whether one should consume a bottle of Chablis from a vineyard that’s rife with Kimmeridgean soil and located close to the mouth of the Yonne River or one that’s tucked away in the outlying areas, where Portlandian soil is prominent. Personally, we think that most travelers aboard French canal cruises will find something nice to say about them all. 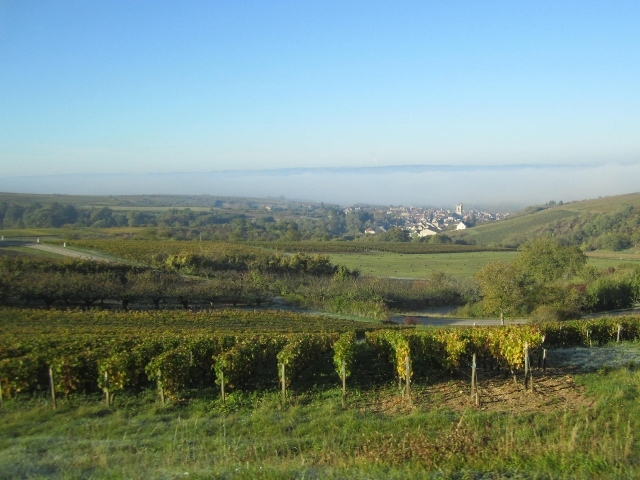 Barges such as the ultra-deluxe C’est La Vie, the deluxe La Belle Epoque and the first class Elisabeth include visits to Chablis and the surrounding vineyards. To learn more about Northern Burgundy canal cruises, please contact us today.